When Katie Fears married her childhood sweetheart in 1763 and sailed from Ireland to Georgetown, South Carolina, hoping for a new life, she never imagined giving birth to a daughter, Cecilia, whose strange inheritances would affect female generations yet unborn and bring abuse and humiliation from doctors, ministers, family, and the enslaved. 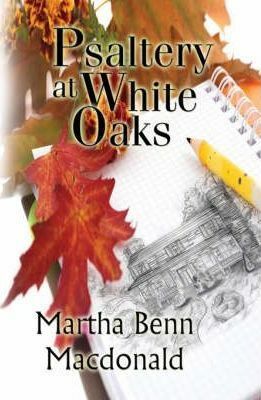 Psaltery at White Oaks, a novel in the Southern historical literary tradition, spans six generations and portrays the painful struggle of each female descendant to break the cycle of cruelty, manipulation, and sexual violence. Only Ceciliaas granddaughter Celie, with her abiding faith in God, strengthened by special relationships, dreams, music, love and resolve, is able to transcend her mysterious heritage, experience resurrection, and offer her granddaughter Fairlee the psaltery and a hopeful journey without shame, without fears.